Three men accused of conspiring to blackmail the owners of a guinea pig breeding farm have been remanded in custody by a court. Kerry Whitburn, Jon Ablewhite and John Smith appeared before Burton-on-Trent magistrates charged with conspiracy to blackmail the Hall family. Josephine Mayo is charged with the same offence and was given conditional bail. 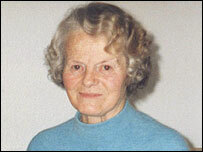 The Halls are related to Gladys Hammond, whose remains were taken from a church in Staffordshire last year. All four defendants will appear at Stafford Crown Court next Friday. Mr Whitburn, 36, of Summer Road, Edgbaston, Birmingham; Mr Smith, 38, of Leicester Street, Wolverhampton; Mr Ablewhite, 35, of Hawley Street, Levenshulme, Manchester; and Ms Mayo, 37, of Cottage Close, Chasetown, Staffordshire; will appear at Stafford Crown Court next Friday. The defendants are charged with conspiracy to blackmail David Hall and partners and others connected to Darley Oaks Farm, Newchurch, Staffordshire, between 1 September 1999 and 27 September this year. They allegedly conspired together "with a view to cause loss to another" by making unwarranted demands for the closure of Darley Oaks Farm. Police had detained the three men, aged 35, 36 and 38, in separate raids in Manchester, the Edgbaston area of Birmingham and Wolverhampton on Tuesday morning. The woman was arrested in Burntwood, Staffordshire, on the same day. She is due in court on 11 October. Another woman, 23, also from Wolverhampton, was arrested on suspicion of assaulting and obstructing police and bailed on Tuesday. 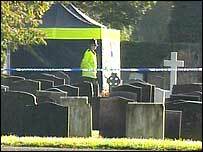 Mrs Hammond's body was taken from her grave in St Peter's churchyard in Yoxall on 6 or 7 October 2004, seven years after she was buried there. Her remains have still not been recovered. The Hall family, which owns Darley Oaks Farm in Newchurch, decided to start winding down their guinea pig breeding operation in August.